Cooking is the most amazing and favorite desire of most of the persons in the world. It is also very important to know about new recipes and change the meal taste on regular basis. It will give you new reasons to enjoy the life and increase the happiness among you and your loved ones. So, forget to worry about the complex cooking processes as we are here to give you details for the best recipe apps for iPhone and Android. 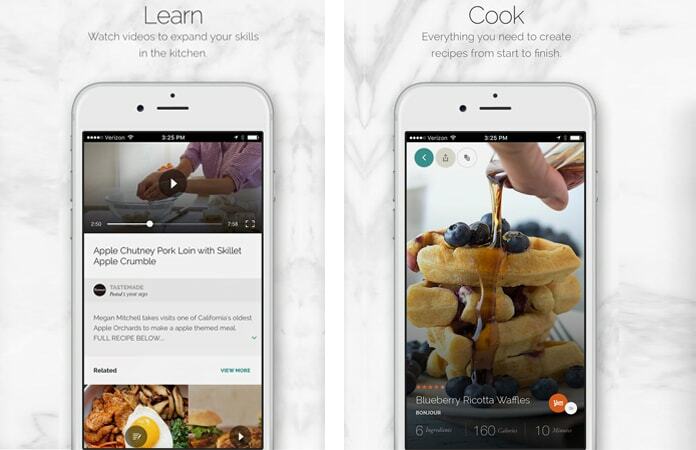 These apps are useful to know about hundreds of new recipes with their detailed description and photos. Have a look at following amazing meal apps for your iOS devices. 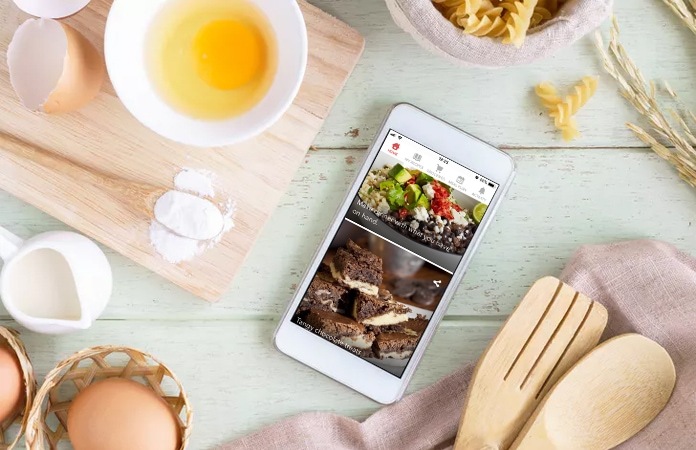 Yummly is another wonderful app which is great to provide you recipe ideas exactly according to your origin and interest. It also suggests its amazing recommendations about the related recipes based on your interests and answers which you submitted at the time of your signup. Its searching filter options are also very useful and time-saving. It allows you to get access to the right desired meal cooking recipe. All recipes are professionally checked and tested by hundreds of users. It is an amazing app which allows you to get access thousands of delicious recipes which you can read and save to make favorite new dishes at home. 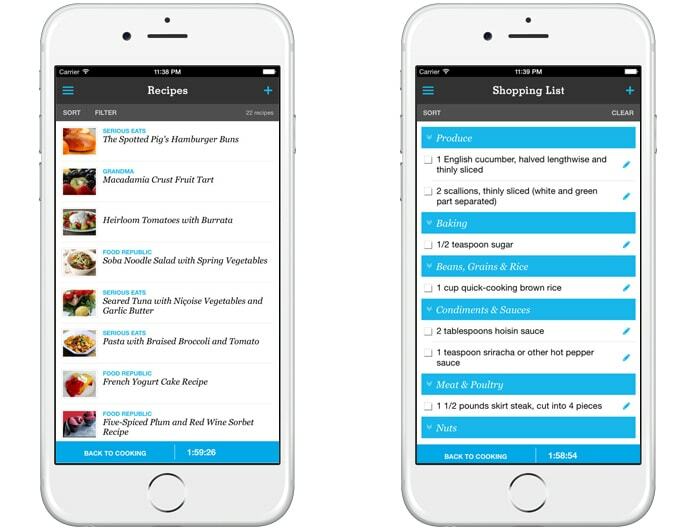 You can use this app to create your weekly menu plan and making a grocery list. You can learn cooking new meals and can read about any desired recipes. 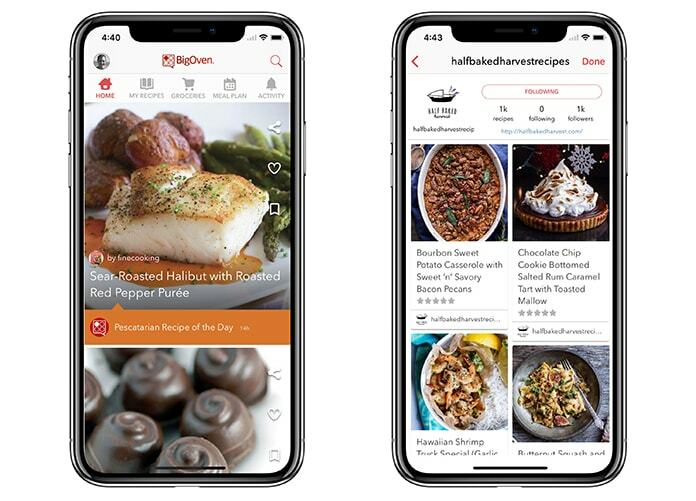 You have the facility to search by the name of ingredients, recipe contributors, and other factors and can connect with the users by setting any date on the app calendar. SideChef is a superb app which has its nice place in the world of recipes. All recipes are easy to read and follow. You can read a lot of recipes about each scenario and select anyone which suits your conditions the best. All recipes are available with their photos which allow you to make an exact decision about your choices. You can download this app for iOS and Android devices for free. 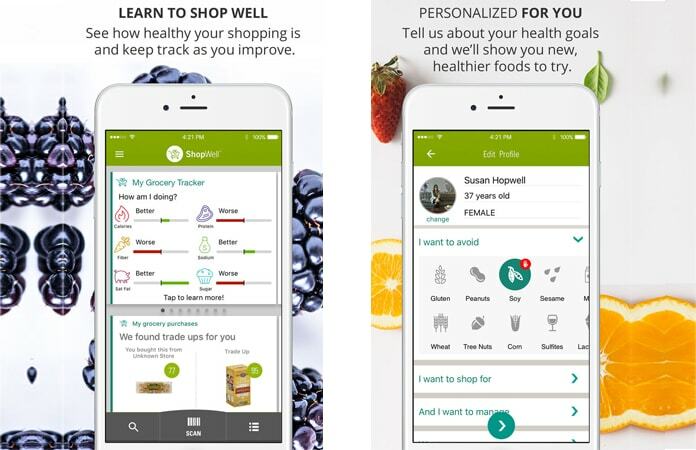 ShopWell is an individual app which gives you the right information about nutrition. It provides the nutrition data in the form of scale ranked from0 to 100. It means you can search and come to know about different eatable items with their nutrition values. This will help you to select and cook the right healthy meal for you every time. It is the right app when you want to maintain your average health with the yummy taste of new recipes. Pepperplate is a well-grooming app which let you know about various meal recipes. It is the great application for your grocery list as it provides different options to make your grocery list easy and achievable. The organization tools of this app are also its plus point which enables you to have a check at your previous grocery buying history and making your new purchases perfectly in the budget. You can add your own recipes and share it with your friends. We hope that you like these awesome, highly rated, free apps. 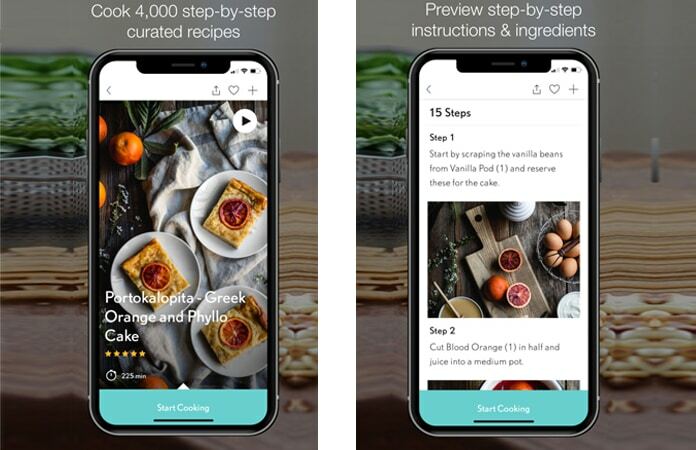 Choose one of the best recipe apps for iPhone and Android because they will lend a helping hand the next time you want to cook.